Himachal Pradesh Subordinate Services Selection Board (HPSSSB) has released HP TET 2018-19 Application Form. Candidates who are interested in participating in Himachal Pradesh Teacher Eligibility Test can check Online Registration Dates – Eligibility, Fee here. HP TET Application 2018-19 Form will be available online from 16th July 2018.Candidates have to fill the application form online to be able to participate in HP TET 2018. Last date to fill the HP TET Application Form is 6th August 2018. HP TET is conducted at primary levels and upper primary levels for the teachers. This year HP TET Exams will be conducted on 2nd, 3rd, 8th and 9th September 2018. Only those candidates who have successfully completed registration process will be able to participate in HP TET. From the beneath section of page, candidates can attain all important information regarding HP TET 2018-19 Application Form that is well maintained by the team members of www.privatejobshub.in. For TGT Medical: Candidates must have passed in B.Sc (Medical) with 50% marks and 1 years B.Ed/ B.EI.Ed or 10+2 and 4 years B.EI.Ed/ B.Ed in special education. For Shastri: Candidates must have done Shastri with at least 50% marks. For TGT (Arts): Contender should have degree of BA/B.Com with at least 50% marks with 1 year B.Ed or 10+2 with at least 50% marks and 4 years Bachelor in B.EI.Ed. Language Teacher: Applicant with BA in Hindi as an elective subject and 2 years diploma in B.EI.Ed/B.Ed is eligible. Contenders are also required to pay application fee for applying towards Himachal Pradesh TET Notification. Candidate needs to pay the application fee of Rs. 800/- for general category candidate. Candidates belong to SC/ST/OBC category need to pay Rs. 500/- as application fee. Interested candidate for Teacher Eligible test will be selected on the basis of written test and interview that will be conducted by selection authority of Himachal Board of School Education. The exam and interview will be organized by the Himachal Pradesh Board of Secondary Education. Test items on child psychology, development, pedagogy and teaching learning processes will focus on educational psychology of teaching and learning relevant to the age group 11 to 14 years. They will focus on understanding the characteristics needs and psychology of diverse learners, interaction with learners and the attributes and qualities of good facilitator of learning. The questions in the other sections will be based on the topics of the prescribed syllabus of the State for classes VI to VIII, but their difficulty standard as well as linkages could be up-to 10+2 level of H.P. Board of School Education. Structure and Standard of TET for L.T. Section–I Q. 1-120 Hindi Course of Graduation level. Section-I (Q. 1- 30) – Child Development and Pedagogy, teaching learning processes. Scanned Images of Photograph & Signature as per the specifications mentioned below. On the home page, you have to select “CET/ Vacancies” tab that is available on top of the page under that candidates need to press “TET 2018”. Important Instructions/ Guidelines to the candidates will appear. Candidates must go through complete details before selecting download tab to get prospectus. Now, your HP TET Prospectus will appear. Read the notification carefully and ensure your eligibility. After that, eligible and interested candidates need to move come back to previous page. On instruction page, candidates have to press if they satisfy with the terms and conditions. Now, select suitable candidate as per your condition that is if you are new user than press “Register” link and if you are already registered candidates then hit on “Sign In” tab. Candidates need to fill HP TET 2018-19 Application Form after registration process of new user is completed. Complete the fee payment process through proper mode. Recheck the mentioned details and at last press submit tab. Send your form to the below provided address to complete the form filling process. Candidate must note that no requests regarding the correction of application forms will be accepted. 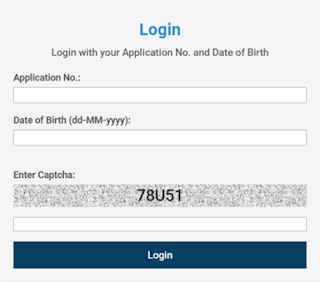 So candidate must fill the HP TET 2018-19 Application Form correctly. Your candidature will be rejected in case any kind of discrepancy is found in the HP TET 2018-19 Application Form. So fill your form accurately. We have provided complete details in regard of HP TET 2018 –19 Application Form also candidates can go through Official Link for additional information. If any aspirant is having any query related to Himachal Pradesh Board of Secondary Education TET exam comment us on below provided comment box our team will soon reply for it.